THE WOODLANDS, TX — Interfaith of The Woodlands (Interfaith) and Junior League of The Woodlands (JLTW) are pleased to announce CHI St. Luke’s Health as the Presenting Sponsor for the 2019 Giving Goes Glam Fashion Show and Luncheon, as well as Event Chairs Nicole Murphy and Emily Wilcox. The highly anticipated 8th annual event will be held at The Woodlands Waterway Marriott Hotel and Convention Center on Friday, April 5, 2019. 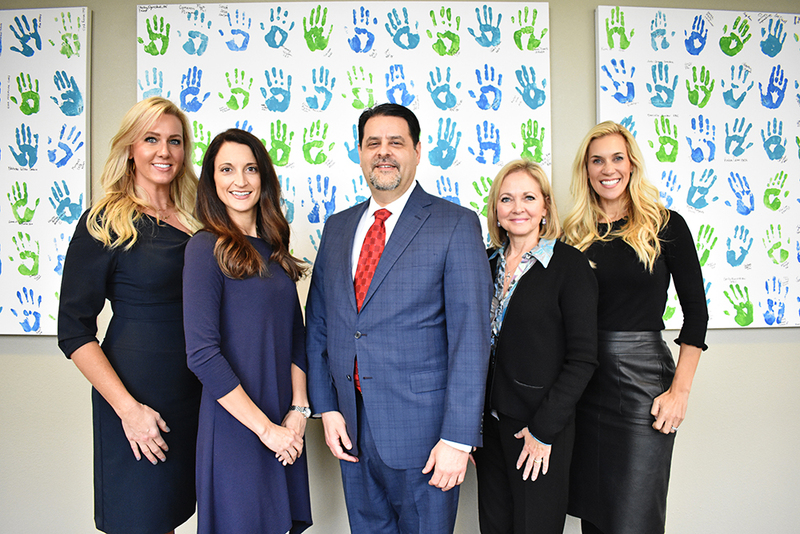 Pictured from (l-r): Nicole Murphy and Emily Wilcox, Event Chairs of Giving Goes Glam; Jim Parisi, President of CHI St. Luke’s The Woodlands; Diane Pardew Freeman, VP and CNO of CHI St. Luke’s The Woodlands; and Missy Herndon, President and CEO of Interfaith of The Woodlands. The event will include a New York–style runway show highlighting fashion provided by Saks Fifth Avenue. The perfect combination of fashion, philanthropy, and friendship, Giving Goes Glam’s proceeds benefit the missions of both organizations, providing programs and services for the South Montgomery County community. For sponsorship opportunities or further event details, please visit givinggoesglam.org or contact Carolyn Donovan, Interfaith’s Director of Development, at development@woodlandsinterfaith.org or call 832-615-8225.